In order to register for classes, all students must be in compliance with New York State law regarding immunizations. Measles, mumps, and rubella. Immunization records must be provided to the Health Center. The Health Center can provide assistance for obtaining records and/or provide measles, mumps, and rubella immunizations at no charge. To release your immunization records from a previous school or your primary care provider, you can fill out a Record Release Form. You are not required to receive the meningocococcal vaccine, but you are required to fill out the Meningitis Response Form. Who needs to get a meningitis vaccine? Click here. Due to declining enrolling and rising premiums, Buffalo State will no longer be offering domestic health insurance (Currently Consolidated Health Plan) effective August 13, 2018. Below are alternative options for you to obtain insurance on your own. 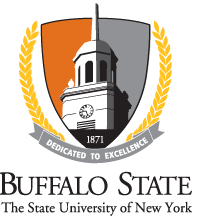 International students please visit the following link for information about Buffalo State's international student insurance policy. If you need any further assistance please call the Weigel Health Center at 716-878-6711 and we will assist you as best as we can. As of May 21, 2018, the annual insurance waiver is no longer required.